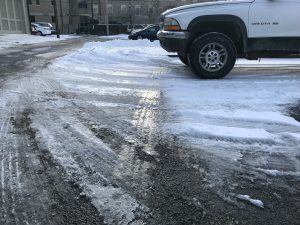 Roads throughout Kentucky, but particularly in our area, are snow-covered, ice-packed and impassable at places today. Many work places, including our own, closed today so our employees can stay home and be safe. While we have that option, not everyone exercises that much caution when dealing with hazardous weather. It’s somewhat understandable. Some businesses, such as hospitals, don’t ever close for any reason. There are also some people who think the rules don’t apply to them, and they don’t exercise due caution, and that is much more concerning. Today, we are hearing news reports of a multi-vehicle accident on Interstate 65 in Hart County. Police scanner traffic indicates the accident involves a Greyhound bus, two commercial vehicles and two passenger vehicles. I follow Joe Imel on Twitter (who doesn’t?) and he gave out details as he heard them, as well as posted a Kentucky State Police report on the accident.